Humanity has been isolated from free flowing kundalini for too long. Lack of trust, attachment in relationship situations, the need to control and manipulate, has created a limiting matrix of confinement, which has disconnected the majority from this essential elixir of life. And that's entirely okay - it's the karma of life itself. There's always truth at the heart of the distortion. In this case, manifesting a reality of exploration, energetic ties binding it together, but then experiencing how these can be limiting and confining. It's all about the forging of soul. The natural Law of Attraction brings bodies together, for mutual growth and education. But life was never meant to be about fixed attachment. How can you experience being "The One" that you are, if you have a fixed relationship to the polarity of separation? In other words, if you've already decided that you need another to make you feel whole and complete, then you've already established yourself as separate from the wholeness of The One. Activation of Kundalini brings you back into the universal fold. Sense of loss, or neediness, transforms into the joy of completeness. I'm blessed to be traveling out around the world meeting and working with people consciously on the spiritual path. It's a great joy to witness the incredible breakthroughs as people come home to the revelation of The One, inside of themselves. 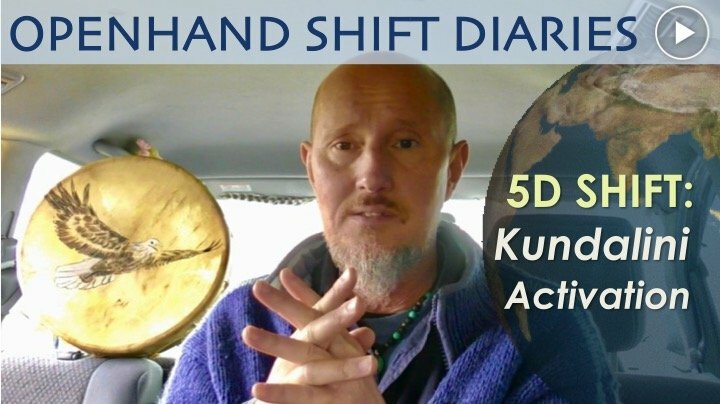 Right now, there's an acceleration of consciousness in the 5D Shift - life is unraveling itself from the karmic distortion of humanity's limiting past, and unleashing the vibrant possibility of the New 5D Paradigm. People are living and breathing this phenomenal new existence, right here, right now! Importantly, it's not just about experiencing the peace of interconnectivity, because the risk is it leads only to an intellectual/emotional level of Enlightenment. You cannot aim for, and touch, the infinite peace of presence. Because in the moment "you" are aiming, you've already established the condition of separation from The One. It must be about aligning with the flow of soul - the natural movement of kundalini. Because when you catch this wave inside of you, which is the sense of 'rightness' of the soul, then without even efforting, struggling or trying, the wave itself delivers you on the shores of The One inside. That's why it becomes essential to activate Kundalini. Activation of Kundalini is no easy ride! There is an essential pitfall to avoid. That is: trying to force the rising of consciousness before the lower chakras have been properly cleansed. This can lead to a disconnected, partially out-of-body, dreamlike state, which can take some considerable time to reintegrate. I witness a lot of spiritual teachers falling into this trap. It's essential to recognise that to properly open, cleanse and attune a chakra, we must simultaneously work on how that centre of consciousness interrelates with our outside lives. We must allow the light of infusing kundalini consciousness to flow into the chakras progressively, witness the reflections on the outer, then work to align any distorted behaviourisms that are so revealed. In relationships for example, as the energy naturally flows into the sacral chakra, we must work on releasing attachment of how we might need, or expect, someone else to be. Progressively, attachment to a fixed interrelational dynamic, transforms to the sensuality of allowance. We can empathically feel the connection to another, yet at the same time, don't require them to be a particular way to make us feel whole and complete. You feel through the emotional connection, but with awareness and focus, constantly bring the kundalini energy back inside yourself. In this similar way, we can work up through all the chakras, channeling soul consciousness into them through aligned spiritual practice, and then working to dissipate the distorting shadows upon the clear blue skies of our outer experience. Right now, we are on the cusp of phenomenal change. The consciousness of the old reality is steadily being unwound, and the bottled up energy contained within it, is being progressively released. to create a life, totally interconnected with the majesty of the divine. That possibility is open to every single one of us. It requires commitment, courage and trust. And as we summon these emboldening traits within us, we unleash the incredible potential of free flowing kundalini. The time is now. 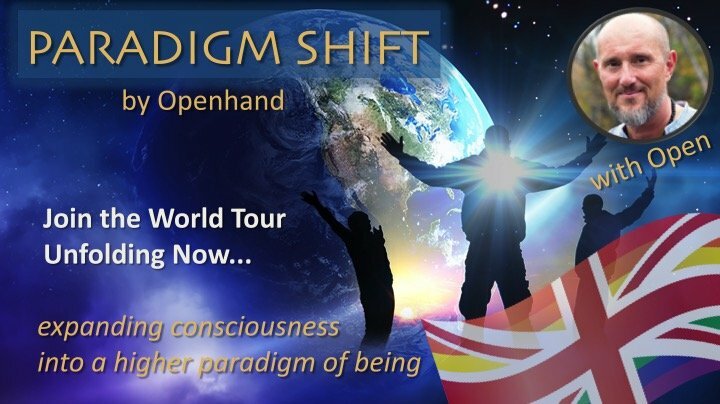 An incredible shift into the new 5D paradigm is happening all around us. Let's work deep within, and catch that kundalini wave! Thank you for this article, it has helped me understand more about what I am experiencing. I asked for some clarity and voila you posted this article! This especially caught my attention - "In relationships for example, as the energy naturally flows into the sacral chakra, we must work on releasing attachment of how we might need, or expect, someone else to be. Progressively, attachment to a fixed interrelational dynamic, transforms to the sensuality of allowance. We can empathically feel the connection to another, yet at the same time, don't require them to be a particular way to make us feel whole and complete. You feel through the emotional connection, but with awareness and focus, constantly bring the kundalini energy back inside yourself. In this similar way, we can work up through all the chakras, channeling soul consciousness into them through aligned spiritual practice, and then working to dissipate the distorting shadows upon the clear blue skies of our outer experience." I am learning to release attachments, and not hope for something in particular. Earlier today I went into a situation with more trust and neutrality, and observing both myself and others. It was a new and different experience without the negative, judgemental energies. It was very liberating. Thank you very much for your books and website! They have been very helpful on this journey! Basically I would say that your practice must support what you feel your soul purpose is. And must constantly adapt, grow and evolve as your understanding of your particular configuration grows. It's important not to get fixated in the rigidity of s particular practice or approach. Because this only builds subtle 'doing' identity again. To me, it's all about attuning my at-one-ment with the Universe. That is me, and I am that. My purpose - as a soul - it to be an integral part of that, amplifying it for the greater whole. But exactly how does the Universe move? If there's any separation in me, how does that feel, and how can I bring it more into alignment? Firstly I notice the Universe has 3 basic qualities to it: (1) There is a sense of separation consciousness which creates relativistic experience - the bodymind for example. In various ways, this separation consciousness becomes tight and resistant, which feels uncomfortable. It feels like moving out of natural 'rightness'. So personally I do practices that confront any resistance or tightness and soften into them. (2) The first approach (softening into the tightness of separation), starts to unleash a flow within - a sense of aligned rightness - which the Openhand approach defines as "soul". When you're in this, it feels like where you're meant to be, who you naturally are. Being in the soul, creates the synchronistic flow of rightness in your life. (3) It is only the soul that can deliver you on the shores of The One inside of you - the true source to which all aligned action flows. This is the sense of being truly "home". It is the pure presence of complete acceptance. And so by aligning with soul, there is an allowance and noticing of this sense of presence wanting to consume you. Allow it to do that. The Breakthrough Breathing Meditation is purposefully designed to attune these three qualities of experience. 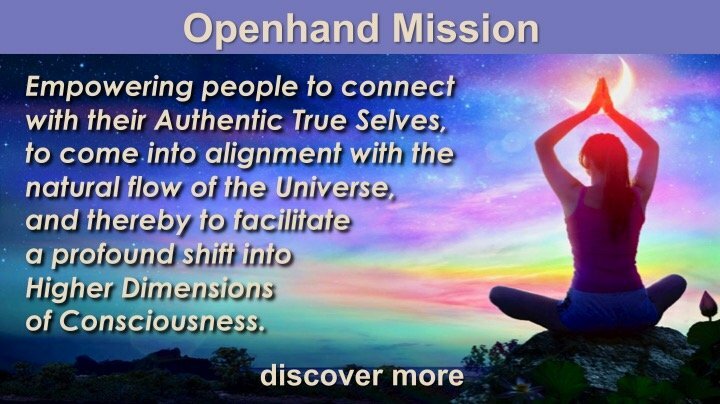 It's the first level of Openhand meditation, and is central to it. In doing the meditation, and relating it to outer experience, you'll likely find that others are important as the flow of soul brings you into challenging density - like karma for example. In the book 5GATEWAYS there are other key meditations to attune the chakras - where soul consciousness flows into the various layers of the bodymind. And also to facilitate the free flow of kundalini, which harmonises the flow through the lower self, connecting it seamlessly to higher self. And I would also advocate some kind of regular bodywork, like Openhand's soulmotion which intensifies the free flow of soul consciousness through the body. Yoga, tai chi and conscious dance can do the same thing. Or consciously walking in nature. From the Openhand perspective, that's a generalised overview. Yes! I see! Not just spiritual practice, but aligned spiritual practice, and not practice such that there is a hope for an outcome which can build subtle doing identity. Oh wow, yes! I have had a few sizeable releases in the last few months, and hence that triggered subsequent realizations. Well, what happened in the midst of the releasing of a lot of pent up energy was a bit of a worry of what those around me thought about it because it was intense. --Not fully accepting and being ok with it all, which led me to think well maybe there is a more subtle and gentle way to go about it so as to not freak out my family. I released a lot of energy that I related to my mother because I was looking to her for love, acceptance, safety, etc. I was looking outside of myself. The releasing happened over the course of a couple of weeks, lots of anger, turmoil, sadness; the main realizing release happened as my family sat at the kitchen table staring at me with their mouths a bit open in shock and awe as I deeply expressed the honest yet dense and illusioned energy. So I subsequently thought that I should embrace better spiritual practices for a more gentle approach. I see now what has transpired and I also am in the process of fully accepting it all. I also really appreciate this "you'll likely find that others are important as the flow of soul brings you into challenging density - like karma for example" - yes, this is what is happening and I appreciate you stating this as it helps clarify what is going on. When you are swimming through the silt with confusion it can be difficult to discern what is happening, and then when you come here and read something like this for perspective, it is so helpful, it brings it all together! Thanks for the info on the Breakthrough Breathing Meditation and suggestions on movement like soulmotion. Experiencing symptoms of Kundalini Activation? I witness on the current World Tour that Kundalini is activating for plenty of people. It's a great sign that the Shift is accelerating for people. But it's not always and easy wave to ride. The progressive release of energy can cause all manner of challenging symptoms from body spasms, temporary disconnection, sexual urges and it can bring up painful karma. But that's all okay, providing people start to recognise what's taking place for them, that they're on the cusp of powerful spiritual Breakthrough and that they need to work through it. Do feel free to inquire if you have symptoms you suspect might be activating Kundalini but are unsure of. The Shift into Higher 5D Consciousness is unfolding all around. How do You live it Right Now? Kundalini begins with the integration and infusion of soul. And then soul progressively rises from the base, through the chakras, and reconnects with soul from the higher self flowing down from higher dimensions. It cam lead to all manner of symptoms. Since releasing the article, I've produced a new download meditation to support the activation of Kundalini, which you can sample at this link. What are you experiencing in relation to this right now? I'll happily share a reflection. I felt like commenting on this when I read about the symptoms as I had an interesting experience yesterday (although I doubt it's related to kundalini, I do experience some of the other symptoms from time to time). I go to weekly group sessions where we share freely about our emotions and experiences and I'm always very nervous to go/express myself. When I share I feel myself going out of body a lot, so I did a grounding excersise before I went. I always feel a little shaking going on after the excersise, but this time it was very strong and didn't stop. I was shaking all morning, and it became worse during the session. Also a lot of grief surfaced as I very recently broke off my relationship and the sense of loss obviously played a big role there, but the shaking felt unrelated to that. In that moment my mind automatically linked it to my nervousness, but it was out of proportion. On my way there I even had the feeling I was going to my own execution (in the very literal sense, the gallows or guillotine or something). Today I can still feel the shakiness, though less, and I'm also feeling quite disoriented..! Would love to get some reflections on this! My sense is as you describe it - that the meeting initiated some past life karma, and what you describe resonates energetically. It doesn't matter too much the exact details, just to honour and express what you feel in the case that something like that actually did happen - and probably caused you to go out of body. So take some quality time, regress right into it, and allow yourself to express. Remember, at the height of it, totally accept it as The One, then integrate through. If you feel it might be helpful to have a facilitator there, then it would be a good idea to call on one. Wishing you well with the unfolding - every bout of karma always leads to a greater expansion!